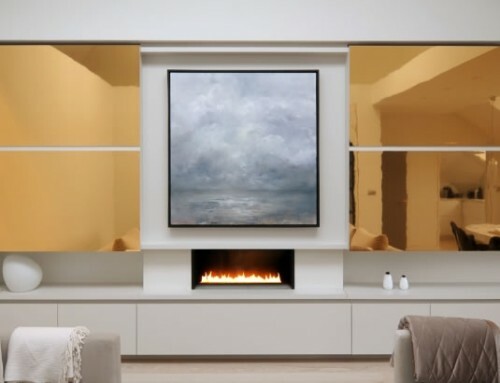 Home/Customer Installations/Flueless Gas Fire Installation by Barnaby Reynolds. 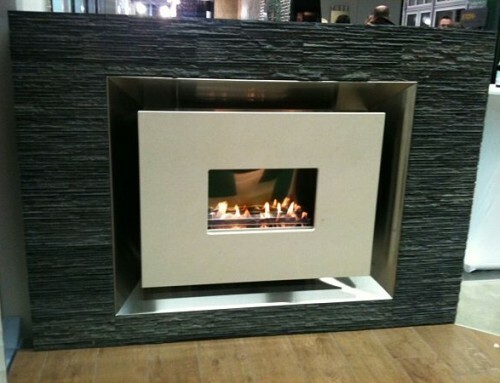 Flueless Gas Fire Installation by Barnaby Reynolds. 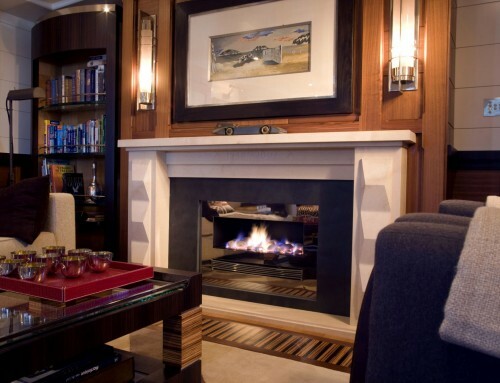 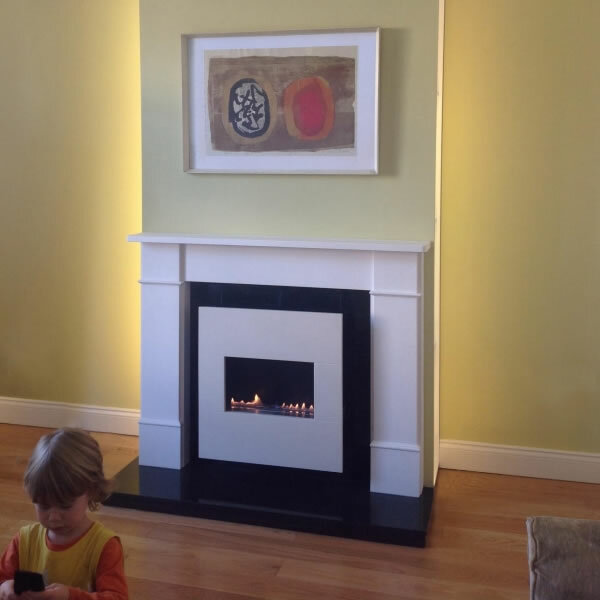 Design Requirements – Flueless Gas Fire to fit within a Traditional Fire Surround. 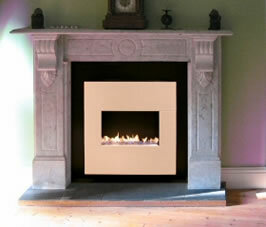 The Liten can be adapted to fit a very wide range of traditional fire surrounds. 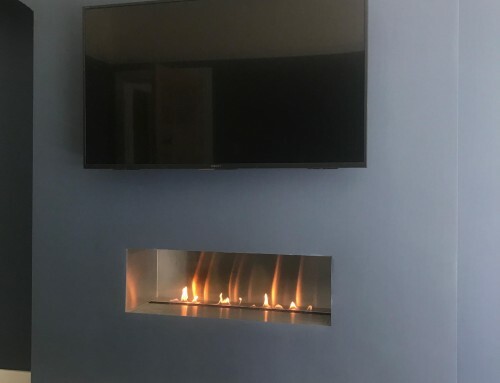 We have a standard range, if there is nothing suitable we will design and manufacture the surround to fit your design requirements. 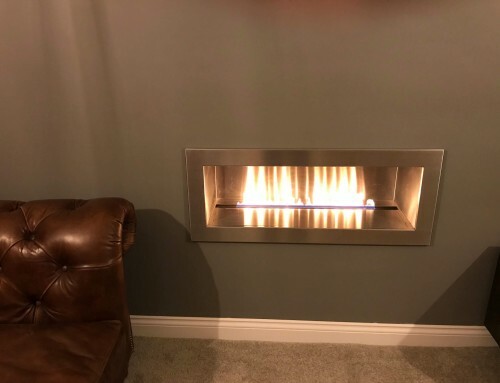 The Liten is an open flame flueless gas fire, no chimney is required and the fire has a 100% energy efficiency rating. 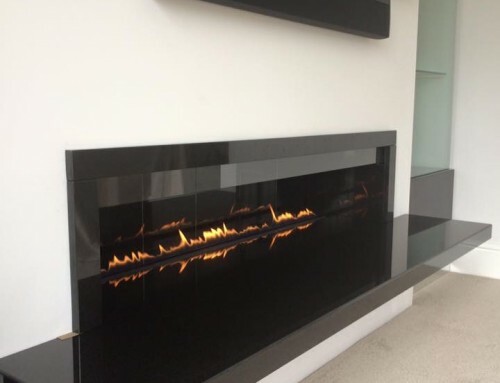 The fire is available with a wide range of stone finishes including black granite, white marble, limestone and travertine.